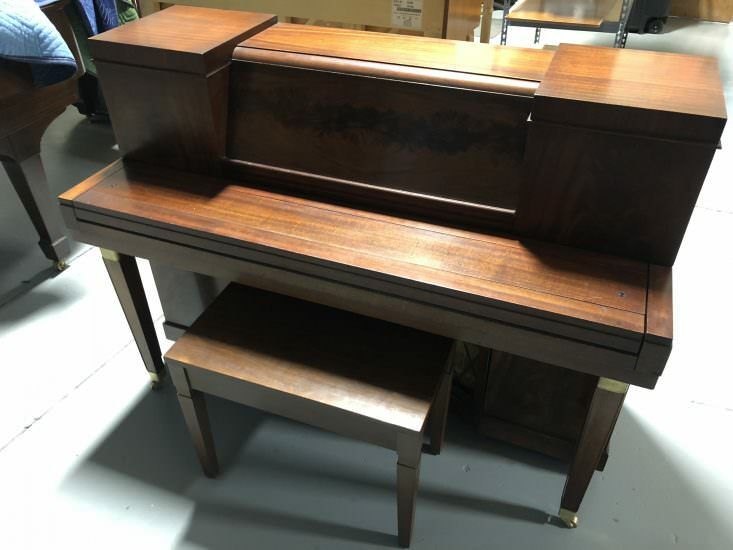 This Jesse French console is a well-built piano at an affordable price, with a beautiful art deco case design. 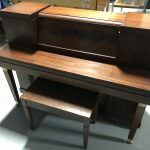 Console pianos are a great choice for beginners or intermediate pianists. With a larger soundboard and longer strings, console pianos provide better sound quality than smaller spinet pianos. 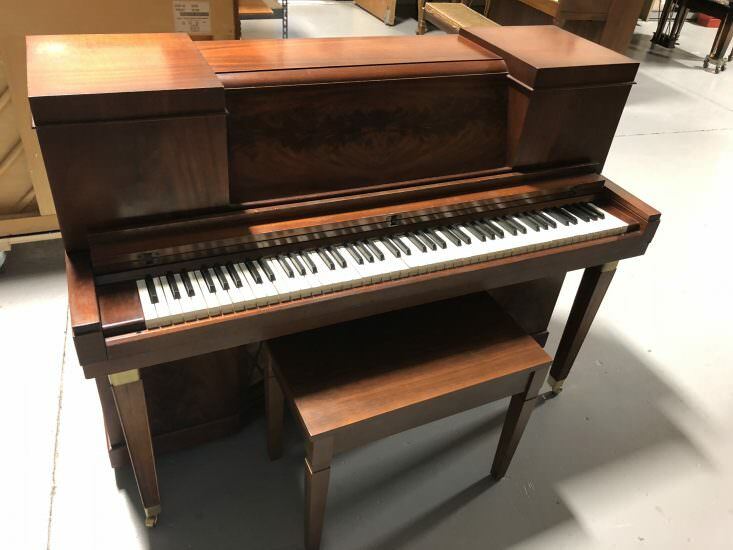 Stop by the Bruce Music store in Edmond to play this and other upright pianos. If you like it, you can take this Jesse French console piano home for low monthly payments.